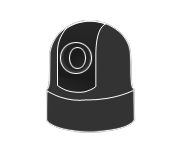 Camera technologies play an integral role in allowing us to communicate and share information across vast distances. It is also important when it comes to reaching potential audiences. In order for video communication or activities like streaming, broadcasting, or recording to be successful and have an impact on your audiences the quality and technology behind your video device is important. This is why we are always striving to provide new and innovative ways for your cameras to perform. Outfitting your communications networks and content creation devices with the latest technologies in video resolution and quality-of-life provide you with a better user experience, while also allowing you to provide your audience with a more engaging, professional looking product. Today, we thought it would be a good idea to see how some of the latest camera technologies are being implemented into your devices to provide you with a better product. 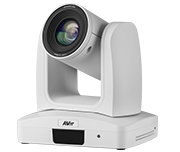 AVer introduced Strategic Tracking with the release of the PTC500S Professional Auto Tracking Camera earlier this year. 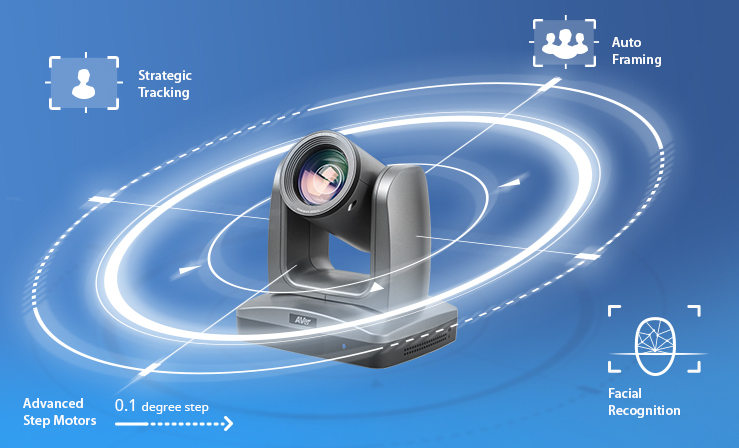 Strategic Tracking incorporates three uniquely designed target tracking configurations that allow for precision tracking for perfectly captured video in a variety of different shooting environments, without the need of a professional operator. If you’re interested in learning more about how auto tracking works and the future of its use in biometrics check out our interview with AVer Product Manager Longer Hung here. Strategic Tracking consists of Wide Area, Stage, and Segment tracking modes. Each one of these brings a different benefit to your video capture. Let’s dissect each one of these modes and explore the benefits. Wide Area Tracking allows for target tracking in a three dimensional region. This is perfect for large auditoriums or for classrooms where the tracked target may leave the front to interact with people or objects not directly on the stage. Wide Area Tracking even allows for the tracked target to be blocked by crowds and will pick tracking the target back up as soon as they become visible to the camera again. Stage Tracking optimizes video capturing for superior tracking for events on stages and uses adaptive tracking algorithms to provide high-level tracking in obscuring lighting conditions. Stage Tracking lets users create a highly focused content box over the area in which they want their target to be captured. This focused content box provides cameras with exceptional tracking capabilities along a 2-D space. The third tracking mode is the perfect setup for capturing content in education or business locations where multiple presentation boards are in use. Segment mode allows for 4 individual content boxes to be placed over the FOV. Once the target is set your camera will begin to track the target, but will only move between the preset content boxes when the target leaves and enters into a new box. This is a great way to capture content that might be shared on screens, boards, interactive flat panels, or projectors. The recent rise of auto-framing has brought more ease-of-use to users everywhere. Auto-framing enabled cameras can immediately identify all occupants of a meeting or group and with the touch of a button instantly adjust the cameras FOV to center everyone. Auto-framing allows users to begin capturing content or start a video conference fast. One of the biggest benefits that users can find is that auto-framing removes any need to fiddle with camera controls. Instantly fit your targets in view and begin your project. Facial recognition and identification technologies integrated in cameras are becoming more and more popular as industries and companies move further into ‘big data’. 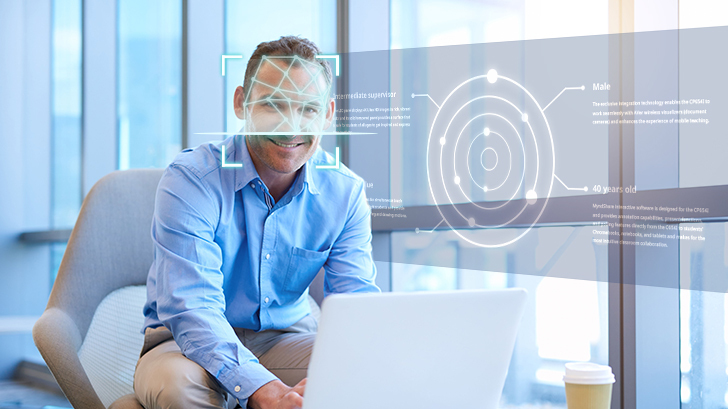 Traditionally ‘big data’ was seen only as your digital footprint, but as facial recognition has improved we are beginning to see your actual physical characteristics and actions be transformed into data called biometrics. This shift will play an integral role in the future of many industries and will most likely leave marketers with an unimaginable new play toy in the future. Beyond just the benefits facial recognition can bring to ‘big data’ it also can bring in what we like to call ‘internal corporate data’. Facial recognition can be used by companies to see how often their equipment is being used. For example, if a company wants to see how much time, how often, and what team is using their video conferencing equipment, facial recognition can help them keep track of this and provide them with the data to make decisions regarding investments in new systems or maybe the need to add another system to free up more time for their employees. Required for any professional PTZ camera, motor design makes a big difference in the quality of your video. Designs of camera motors vary wildly from camera to camera and as the maximum zoom on cameras increase, specialty motors are required in order to ensure smooth and fluid video. Motors that are designed with a smaller step degree provide a better video experience and allow for fluid video at a higher zoom. You wouldn’t believe the difference between a 0.1° step and a 0.5° step motor (click the image above to see). So make sure when you are purchasing your next PTZ camera you make sure that you are getting a quality product by checking its motors step degrees. Tammy Kao is the Product Marketing Specialist for the Camera Business Division at AVer Information's HQ in New Taipei City, Taiwan. Tammy is on an investigative journey to provide you with everything you need to know about camera technologies and how they can change the way you do business, broadcast your content, and stream video.